Go to Atlanta Ballet's Day of Health on Sunday. "The celebration of health includes complimentary dance and fitness classes for children ages 6-9, 10-12, 13 & up and adults. The day-long event focuses on the importance of maintaining a balanced and nutritious diet, so you will want to make time for the free nutrition seminars hosted by the Centre for Dance Education's Centre for Dance Nutrition. You are welcome to mix and match as many classes as you like. Make sure you stay until the end for a special performance at 5 PM! The Atlanta Ballet Boutique at the Michael C. Carlos Dance Centre will also host a healthy living book fair during the event. The Boutique will have a variety of books by Atlanta Ballet Centre for Dance Nutrition registered dietitian Emily Cook Harrison. These books cover topics ranging from nutrition to foot care. Attend one of Emily's seminars during "What Moves You?" Health Day and then stop by the boutique for some resources to take home with you!" Here's the full schedule. It's free to attend. 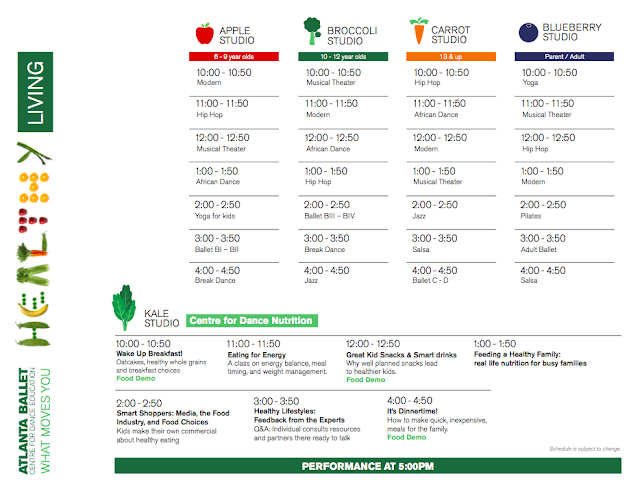 You can mix and match your dance and nutrition classes as you like. A great way to spend the day. For more information contact Carla Cuba, Community Programs Director, at 404.873.5811 x 111. 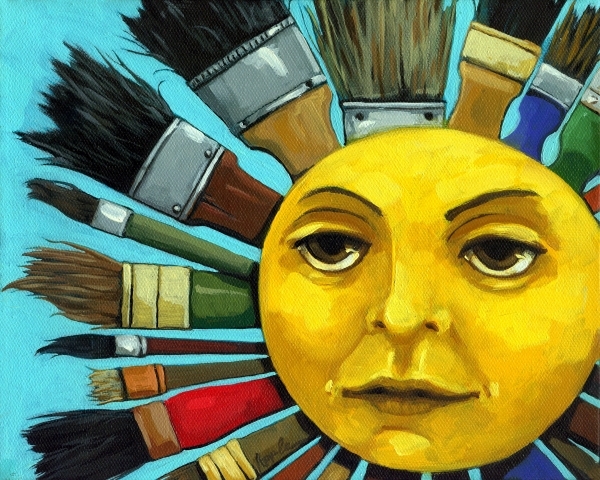 CBS Sunday Morning has been collecting Sun Art for Decades. They display it at interludes throughout the show. Finally: Ok, time to put your new nutritional habits into action. 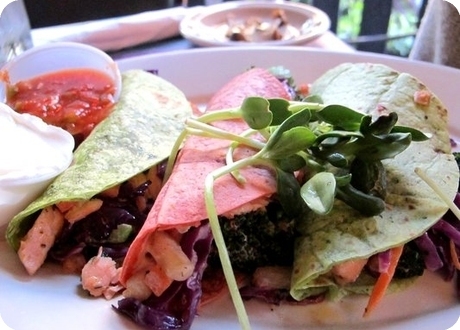 Atlanta has a bunch of nutrition focused restaurants. Check out this blog at Integrative Nutrition. Their list includes Cafe Sunflower, Farm Burger, Ria's Bluebird, and Yeah Burger. After all the burger's from yesterday's Battle of the Burger's Here's What You Do, maybe we can lay off the burgers today. :-). We recommend R. Thomas. A 24-hour eatery with a quirky atmosphere. Say high to the tropical birds as you enter. Stay for the food. They've always been on the cutting edge of nutritious and delicious menus. Vegan. Raw food. Plus a regular menu jam packed with good organic food. Check it out. $30 per person. Finish up Sunday at R. Thomas, with a nutritious meal.